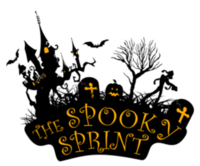 The 1st Annual Spooky Sprint 5k Race and Kids races will draw families from around the area to celebrate the Halloween Holiday in Erie and Northern Broomfield. Come run around the Vista Ridge Golf Community that offer beautiful views of the mountains while running a challenging 5K course and 2 Different Kid Races. The Festival opens at 1:00pm, with face painting, jumpy castles, costume contests, and pie eating contests. The 5k Race start at 3:00pm...and runs around the golf community cement paths and roads. The Start/Finish is in the Vista Ridge Community Center just south of Route 7. Halloween is all about the kids...so bring out the Little Monsters for our ¼ mile (2-3 year olds) and 1 Mile (Up to 12 years old) at 4:00pm. Parents are encouraged to run with the kids...in costume of course. Day of Registration and Packet Pick Up will end at 2:45pm so get there early! Strollers are allowed in both races. And dogs too. T-shirt, Raffle Ticket, Grab and Go Goody Bag, Meal, Finisher Medal, Non-Alcoholic Drink at Event, Free Beer at Post-Party for adults. KIDS Participants: Custom Kid Bib, Bag, Medal, Glowstick, meal/Juice, snack at the Movie Showing indoors from 5:00pm-6:30pm in community center.